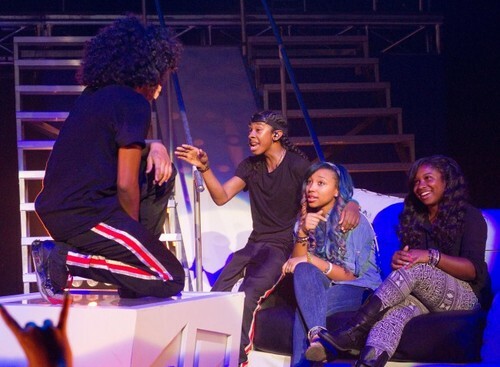 Prince,Ray,Star,Reginae. . Wallpaper and background images in the 黑少正太组合 club tagged: mindless behavior omg girlz princeton ray star reginae. This 黑少正太组合 photo contains 音乐会. There might also be 吉他手. i was at that concert in georgia atlanta it was my birthday it was a surprise my dad set up. anyway back to the pic, only if that was me sitting there that would have made my birthday a hundred more times better.